I started singing this basant bandish in 2007. 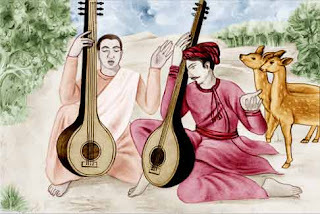 There are several available recordings of Phool Phool Phoolai. The idea was to build a new composition that highlighted the beauty of this shabads rhyme, which in my opinion is lost in most compositions. This year I put more emphasis on the last line, "Har Hare," an emphasis on which solidifies the thoughts in the rahao tuk.